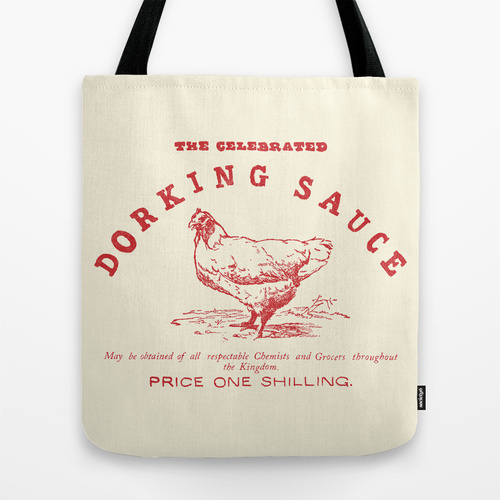 Now featuring the celebrated Dorking Sauce! This delicious condiment, which possesses a peculiar and agreeable piquancy, is, from the superiority of its zest, more generally useful that any other yet introduced, and is besides, from its valuable stomachic qualities, greatly calculated to facilitate digestion. May be obtained of all respectable Chemists and Grocers throughout the Kingdom.